There are few things that hold as special a place in my heart as my Cultural Connections community. 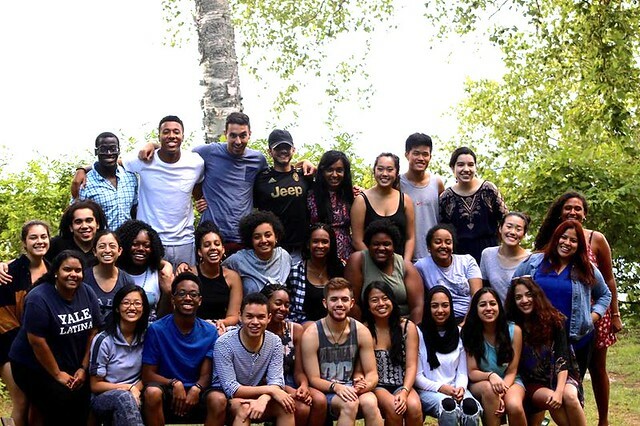 Cultural Connections is one of five pre-orientation programs that Yale organizes for incoming freshmen every year in the summer right before Camp Yale starts. FOOT, Harvest, OIS, and Focus are some of the other amazing programs that connect freshmen to communities on campus before school even starts. An inadvertent choice I made summer after high school led me to Cultural Connections. Little did I know that it would draw me back to Cultural Connections year after year. This year marks my third time doing Cultural Connections and second time being a CC counselor after participating in the program freshman year, and every year I come away reinvigorated by the incredible people that make up this community. The website doesn’t capture the essence of the five-day program, and I don’t know if there is a way to relay with words how valuable the experience is without experiencing it firsthand. 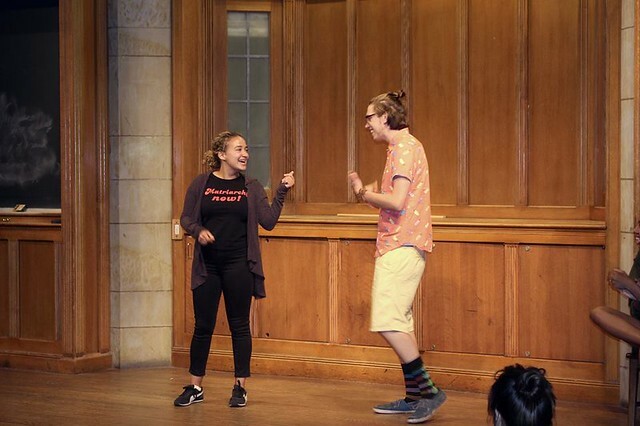 The schedule is jam-packed with events ranging from an outing to the Yale Outdoor Education Center to swim, kayak, and compete in CC Olympics, to a chance to speak your word at the Poetry Jam, to a stage to showcase your talent at the Talent Show. Weaved into the experience however is the excitement at finally arriving at college and instantly meeting 100 of your classmates, forming deep bonds with your CC family, learning about what college life is all about, and countless opportunities to pause, reflect, and discuss topics around intersectionality and identity with earnestness and love. Five days can change your perspective completely. As the year progressed, the exact details of CC would fade. Yet, like a good book that you go back to in time, Cultural Connections is beautifully and refreshingly different every year. As a freshman, I remember staying up with new friends during CC. We would sit on the benches and fence posts on Old Campus and chat away the night. Sophomore year, it was all about stepping into responsibility. Coming back to Yale for the second round, I had to make the mental switch that we now share ownership of the campus as older students. CC was a rewarding process of trial and error to learn how to be the best mentor I could be with the freshman year experience still fresh on my mind. Now, junior year, this level of responsibility takes on a whole new layer of meaning. I have a much more nuanced understanding of mentorship, initiative, and empathy. As counselors, we often discuss heatedly for hours how to make every second of CC the best it can be. The counselors are called “CC parents,” which is apt considering how fiercely we love and care for our incoming freshmen. Throughout all these years, one night of CC always stays memorable. “Journey Maps” sits at the heart of Cultural Connection. We spend one night in our small CC families to share our stories of how we got here, creating as the night goes on an ever more intimate and trusting atmosphere. Having participated in three different Journey Maps, I am still in awe at just how raw the human experience could be. The stories are inspiring, moving, and powerful. Journey Maps carries me forth into the school year, full of gratitude and appreciation for my fellow classmates.